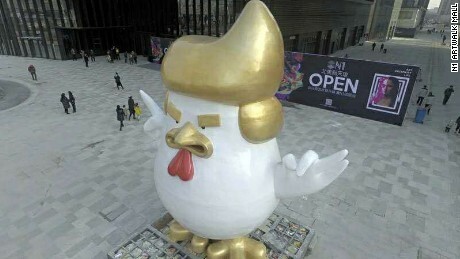 A big stature of a Roaster has been erected in front of a Chinese Shopping mall in Taiyuan, northern Shanxi Province, China. 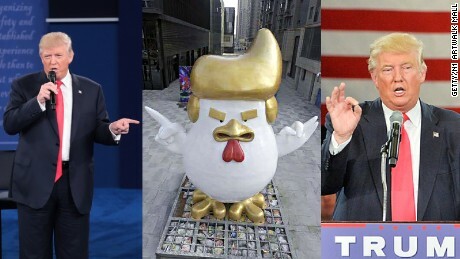 The Sculpture which carries Donald Trump's hair-do also making his hand gestures will be the symbol of the shopping mall, the structure which was commissioned by the Company outside the mall took China by storm though many other companies or businesses have had replica Products in sale during the year. Wei Qing told CNN "I think the rooster is very cute and funny, the hairstyle and eyebrows look very much like Donald Trump. I'm sure it will attract a lot of customers,"
The Trump Roaster seem to be taking over China as Reported three stores sell the Trump Roasters at different prices ranging from $57 to $1739 depending on the size. 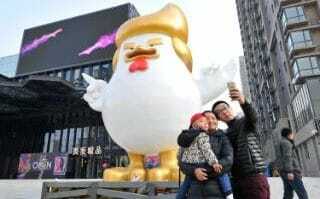 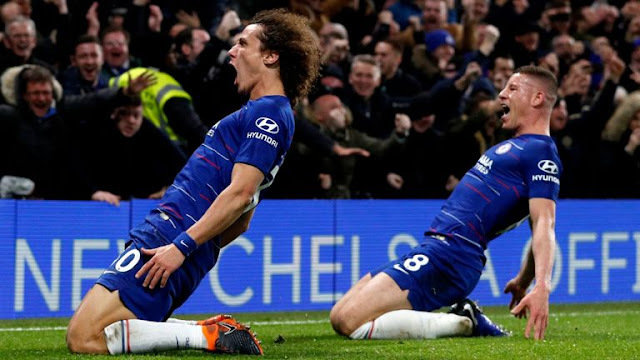 The Chinese are clearly fascinated by Trump due to his numerous views which are in contradiction to that of the Chinese, Laying allegations without concrete claims, which makes the Chinese view the president as a noise maker, giving birth to the Trump Foul (Roaster) or Avian Doppelganger which is presently ravaging the Chinese market in Celebration for the Coming Roaster year.